Quoddler: def. a quilt the perfect size for the wee ones. Not too big, not too small. 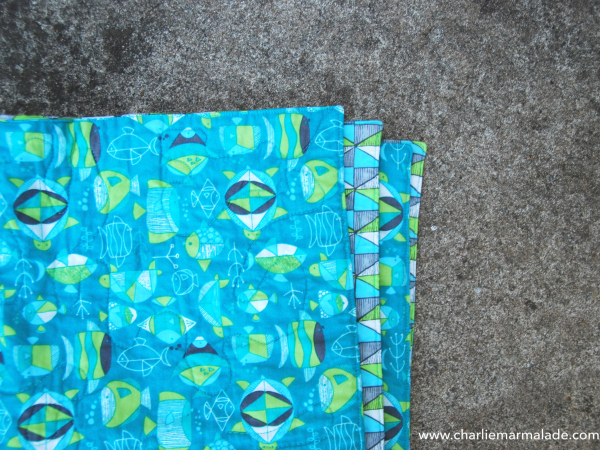 This quilt features a fun underwater scene print and is backed with a complientary blue and green print, perfect for that sweet boy in your life. 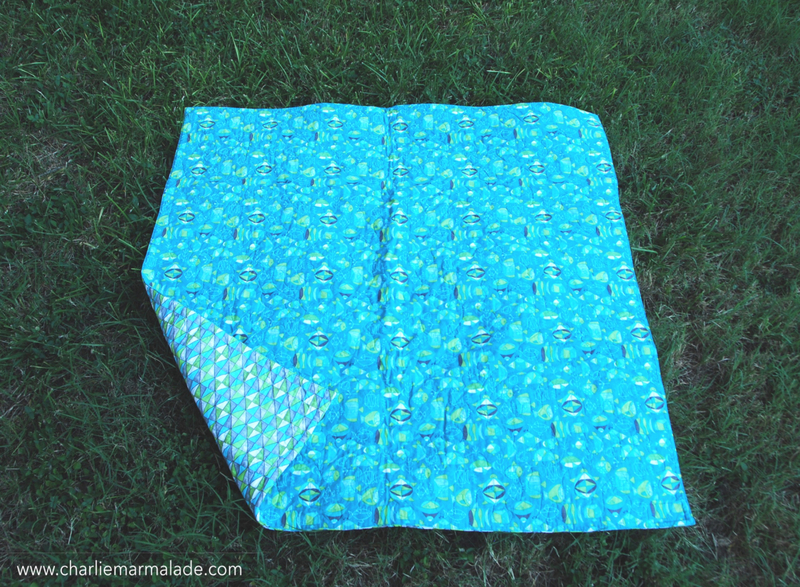 This 40" square quilt would also be great for a lap quilt, so perhaps perfect for the sweet man in your life as well. 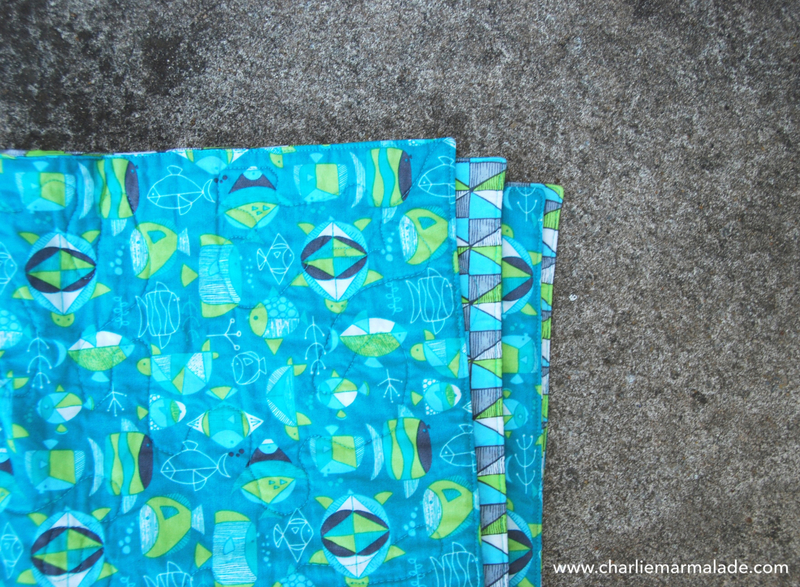 This quilt was handmade, using the highest quality materials, in my smoke and pet free studio. 100% cotton. Machine wash, tumble dry low.